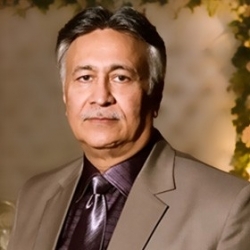 Dr. Sadaqat Ali, a graduate from Dow Medical College, Karachi, is a recognized Addiction Psychiatrist with a background of training at Hazelden, Minnesota, USA and VitalSmarts. He is the Project Director of Easy Interventions & Willing Ways. Dr. Sadaqat Ali visited the United States under the auspices of ‘International Visitor Program’ of the United States Information Agency (USIA) in 1992 on the invitation of Mr. Nicholas Platt, US ambassador to Pakistan. This program brings professionals from the government and private sector from countries throughout the world to the United States to provide them with an opportunity for consultations with their American counterparts. One of the primary goals of the program is to enable participants to establish lasting professional and personal ties. Dr. Sadaqat’s name was included in the international Who’s Who directory of professionals. The print and electronic media have interviewed him extensively. He appears frequently on national TV channels expressing his views on drug addiction, alcoholism, compulsive gambling, suicide prevention and home runaways (Videos & Interviews). He loves to train people on how to intervene if a family member indulges in self-destructive behaviors at www.willingways.org. My Husband Does Not Talk, What Do I Do?